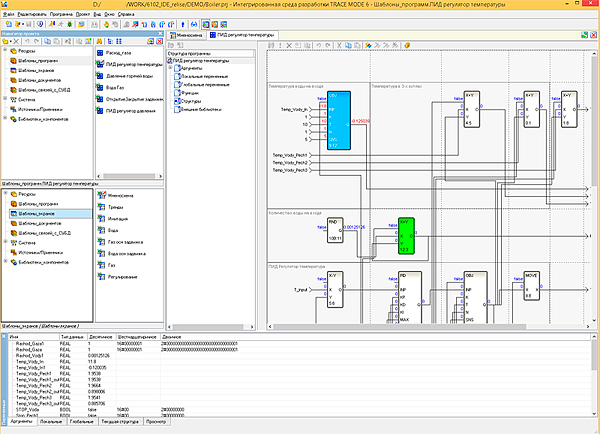 TRACE MODE SCADA/HMI (AdAstrA) is a popular software system for process control, telemetry, dispatching, resource accounting and building automation. TRACE MODE runs under Windows and Linux, used in more than 30 countries of the world, in 49-industries and has over 53000 installations. TRACE MODE 64000 IO development system can be downloaded for free from www.tracemode.com. powerful debugging and remote diagnostics tools. 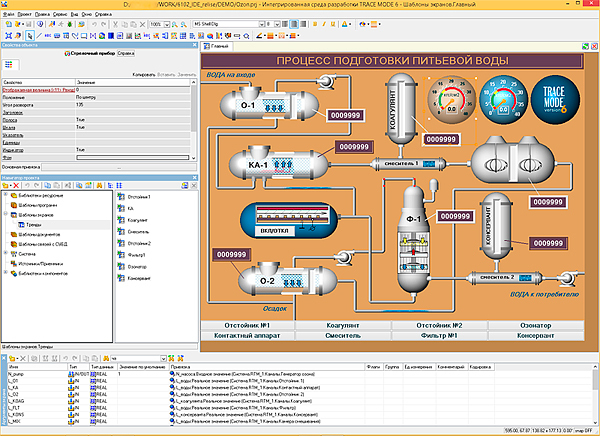 All TRACE MODE SCADA/HMI programs are divided into 2 lines - basic and professional, incompatible with the project file formats. 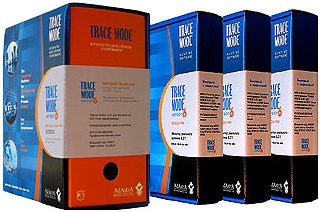 The basic and professional versions of TRACE MODE are almost identical. The differences are in price - the basic line development system is free and can be easily downloaded from our website, but executive modules are more expensive. To know more about TRACE MODE lines please see the License Policy. All projects developed in the basic line development system may be converted into professional format. Getting Started With TRACE MODE? It's simple. Just download the TRACE MODE free development system with a set of ready-made drivers for more than 2586 PLCs, metters and IO devices. We recommend watching video tutorials for beginners and connect to your PLC. Sign up for a forum of technical support for users of the free version of SCADA TRACE MODE and ask questions to our support engineers. Work calmly in the free basic line development system - you don’t have to buy more expensive executive modules - we will convert the project developed in the free basic line version into a professional format when buying a professional IDE. Subscribe to the TRACE MODE YouTube Channel!